Hemp is a popular superfood known for its high concentration of anti-inflammatory essential fatty acids, vitamins and minerals. But did you know the oil of the hemp plant holds another amazing ingredient for health and wellness: cannabinoids? And now, you can legally buy CBD hemp oil in Japan and enjoy the benefits for yourself with Elixinol CBD Hemp Oil Drops, which are available right here at HealthyTOKYO. Plants have been used for their medicinal benefits for thousands of years. Modern science has uncovered the specific compounds within various plants that make them beneficial to our health. Terpenoids are a class of compounds responsible for providing plants with their most notable traits, such as aroma, and cannabinoids are a subclass of terpenoids found within hemp plants, along with hundreds of other phytochemicals. 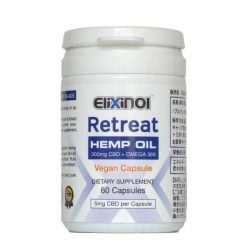 The type of cannabinoid found most prominently within hemp plants is known as cannabidiol (CBD), which is found in Elixinol CBD Hemp Oil Drops. It’s a truly remarkable compound that can help strengthen immunity and protect the body as a whole. 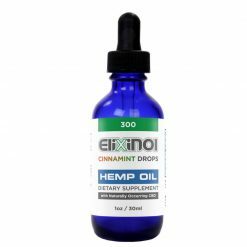 Elixinol CBD Hemp Oil Drops are produced from organically grown industrial hemp praised for its high concentration of cannabinoids. 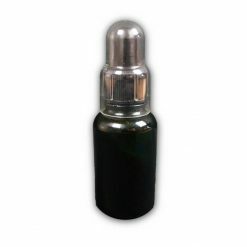 The oil is extracted using CO2 from the stalks and seeds of the plant. Grown in North America and Northern Europe, this type of hemp lacks the psychoactive properties of tetrahydrocannabinol (THC), which is found in marijuana, a plant in the same family as industrial hemp. For this reason, CBD hemp oil like Elixinol is legal to purchase in several countries, and now you can legally buy CBD hemp oil in Japan too. 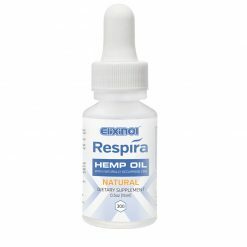 What are the benefits of using Elixinol CBD Hemp Oil Drops? Cannabidiol, and other cannabinoids have strong antioxidant effects within the body. Antioxidants protect the cells from damaging free radicals that can age the cells and weaken the body’s natural defenses. Because this product lacks THC, there is no chance of getting high or experiencing any other mental side effects from using this product, so you can rest easy. There is also a lot of overseas research and growing evidence of other health benefits. Elixinol CBD Hemp Oil Drops are available in three different sizes and strengths and two different flavors. This extract is all natural and not an isolate, so you know you’re getting the true benefits of cannabinoids in every serving. Add this superfood to your daily regimen to see how the antioxidant properties of CBD hemp oil in Japan can help you!